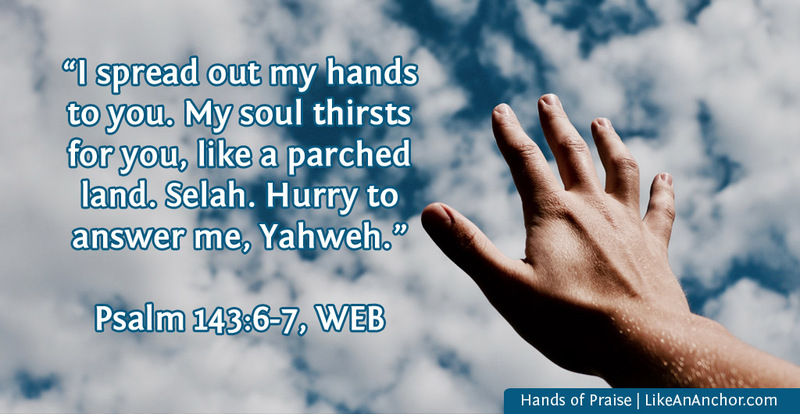 We can think of yadah as a type of praise we “throw” to God with lifted hands as we declare how wonderful He is and confess that we follow Him. 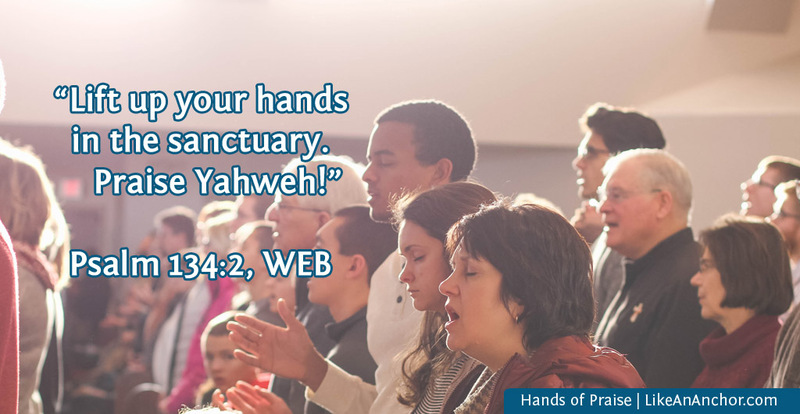 Today, we’re going to look at the ways we petition, pray to, and praise God with our hands. When we need something from God, we can lift up our hands to Him as we pour out our hearts. 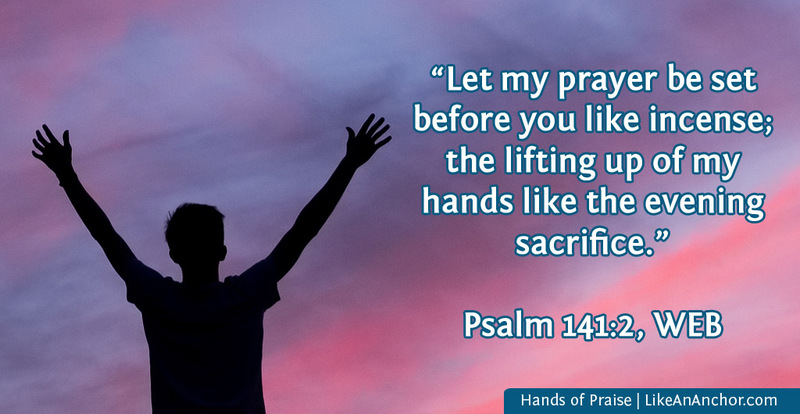 You don’t have to petition God this way (people in scripture pray in a variety of ways including sitting, standing, lying down, hands up, and face to the earth), but lifted hands is one of the methods modeled. There’s something about reaching out toward God that’s meaningful to Him and to the worshipers who long to draw nearer Him. People also lift their hands in prayer throughout the Old Testament (1 Kings 8:22, 54) and on into the New (1 Tim. 2:8). This type of prayer can be part of a petition, as we just looked at. It can also connect with confession, which is another meaning of yadah that we looked at last week. Prayer is (in large part) about relationship with God. It’s how we respond to His presence. It gives us a chance to connect with Him, sharing everything we’re experiencing with the One who wants to be our best friend. That can include confessing (and thence repenting and being forgiven) of sins that would interrupt our relationship with God. It also includes communication and offering of ourselves to God. There’s something so beautiful about walking into a church service and seeing people worshiping with their hands raised to heaven, not caring what any human thinks of them because all they’re focused on is praising God. I love lifting my hands when I sing praise. It makes the music seem more like an offering (to me at least) than a performance or a rote tradition. You’re not obligated to raise your hands every time you petition, pray, or praise if you don’t want to. I know several people who aren’t comfortable with it, and that’s okay. God created us with different personalities and worship styles. When He tells us how to praise and honor Him, He also allows for quite a bit of variety in the types of praise He accepts. I do have a problem, though, with people or chruch groups that say you shouldn’t pray or praise with lifted hands, at least not in public. Is there any more blatant way to say you value your traditions over God’s word (something Jesus strongly condemned), than by saying “we don’t do that here” of something God encourages us to do everywhere? Paul wrote this to a church leader. According to him, it’s not only permissible for people to lift their hands and pray “in every place,” but it’s encouraged! This isn’t an “Old Testament thing” that we can ignore now because our worship today is in spirit and in truth. 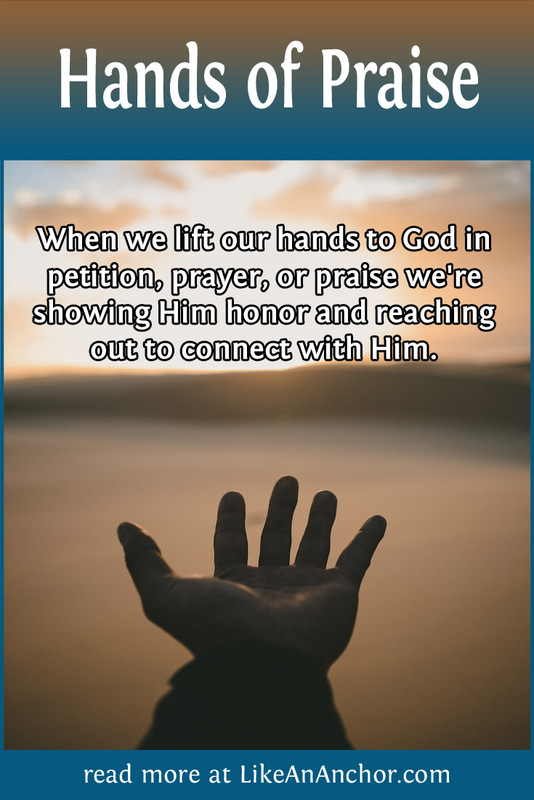 God is the same yesterday, today, and forever and He is still pleased when we lift our hands to offer petitions, prayers, and praise to Him. Enjoyed your article…thanks for sharing! It is a wonderful thing to praise and serve God. Your a deep thinker and write with inspiration. It’s a gift that leaves some envious. Hold onto you gift and exercise your gift and don’t let those that have shallow thinking and skills diminish it. Remember as it was stated – no man stands between you and God. And be weary of those that speak and judge others fast and know you very little.